Sign in with the ID and password created during registration. Tip : Ask for a temporary password from management staff when password is forgotten. 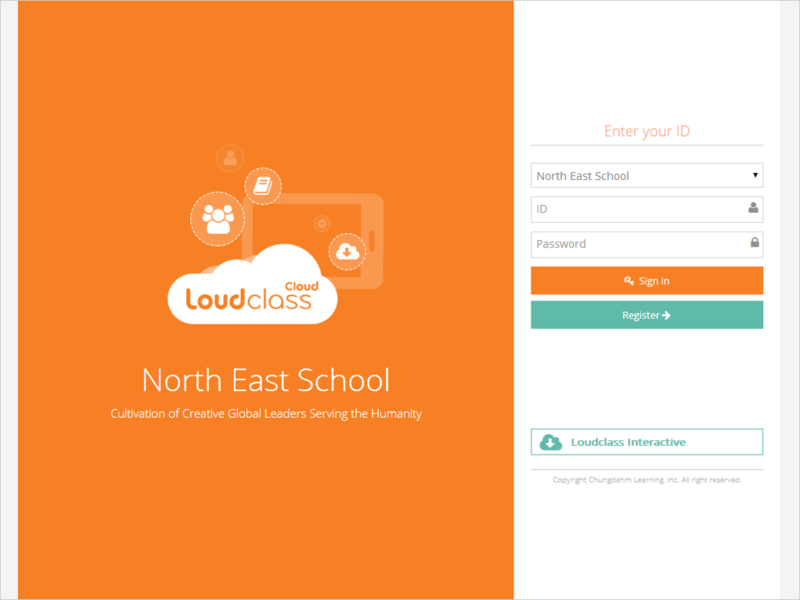 When signed in, the staff’s name is displayed on the upper right section of the screen. When selecting the name, My Account and Sign Out menus are shown. When pressing My Account, account and personal information can be edited. My Resource menu is shown to only class management staff (Teacher). When My resource is pressed, personal teaching material can be uploaded and used during the class. 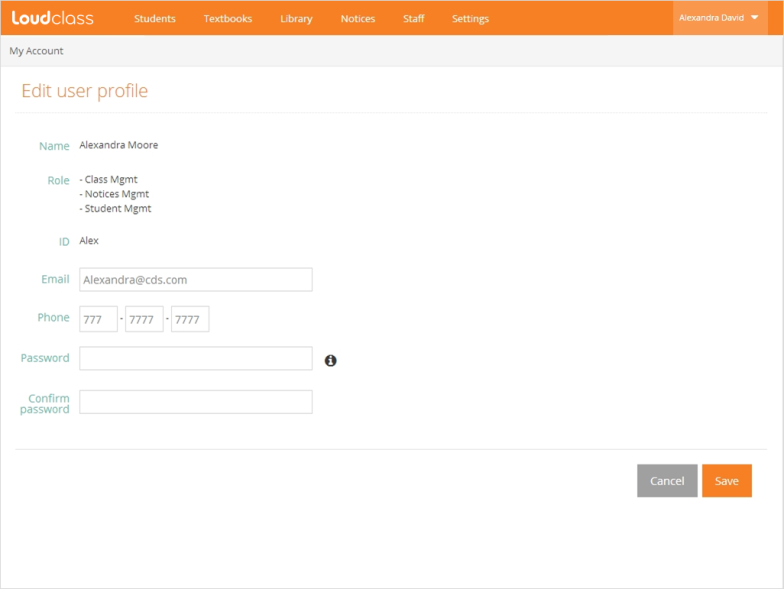 The staff can modify name, role and ID and put email and phone number or change the password. The modified personal information is also applied to staff information.